It’s that time of the year again. A time to look back and see how far you’ve come. I didn’t get out on as many adventures in 2013 as I usually do, but I still think I managed to get some nice shots throughout the year. I know I say this every year, but it really is difficult just pick out ten of my favorites. I’ve done my best with the selection and have posted them here for your viewing pleasure. Please let me know what you think in the comments below! 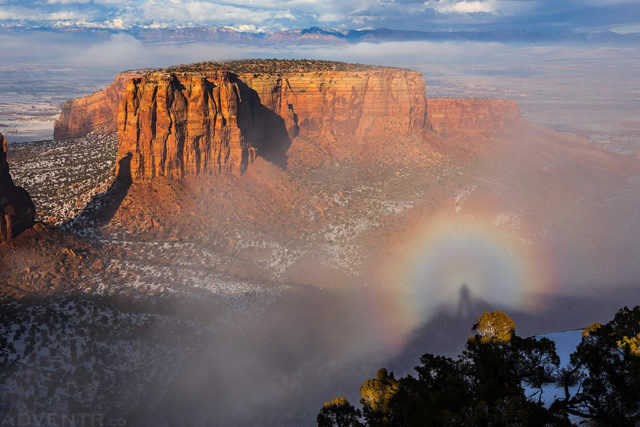 In January I took a few trips to the Colorado National Monument when the weather looked good. On this particular day the conditions were spectacular and I spent much of the afternoon photographing from the different viewpoints on the western end of Rim Rock Drive. While I was photographing at Grand View I looked down at the clouds below me and notice my shadow had a cool circular rainbow around it. I’d never seen anything like it before so I quickly took a few shots before conditions changed. I later learned that this phenomenon is known as a brocken spectre and I’m glad I was there to witness it. After spending a cold evening camping at the end of the Sneffels Range near Telluride on my annual Fall Colors weekend I was ready to head to the warmer temperatures of southern Utah. 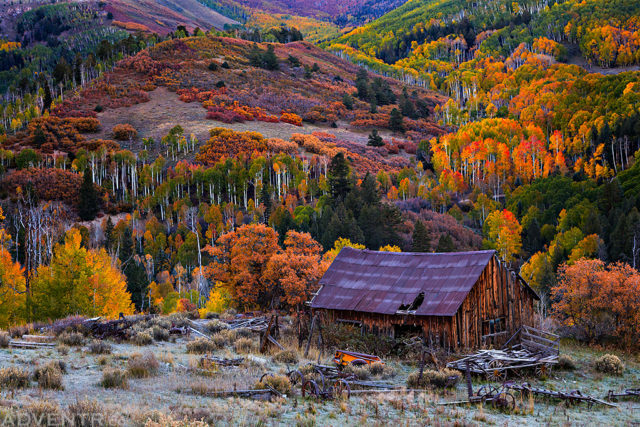 As I was driving along Last Dollar Road this dilapidated cabin surround by beautiful fall foliage caught my eye. 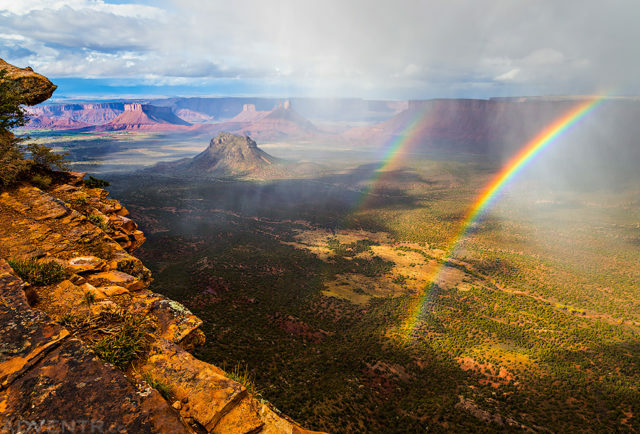 In October I spent an amazing day around Moab photographing dynamic weather conditions including waterfalls, snow, fall colors and plenty of rainbows. I must have seen at least eight different rainbows on this day- many of them from the Castle Valley Overlook. This is just one of many rainbow images I made that day. 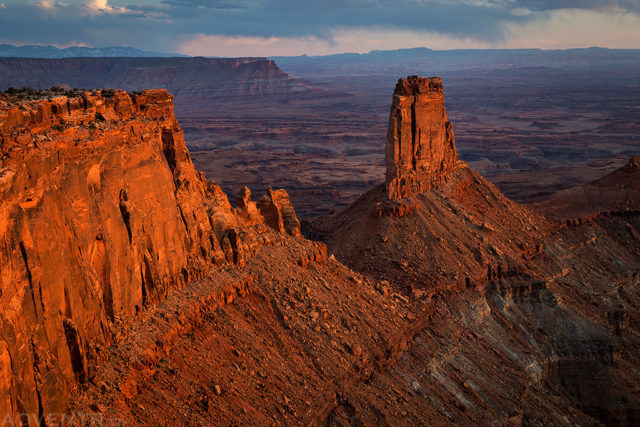 In March I spent a night camped at the Canyonlands Overlook in the Canyon Rims Recreation Area. This is a location I have had on my radar for a while and am glad I finally made it out here. The light on the sandstone below the overlook and above Lockhart Basin was nice on this stormy evening. 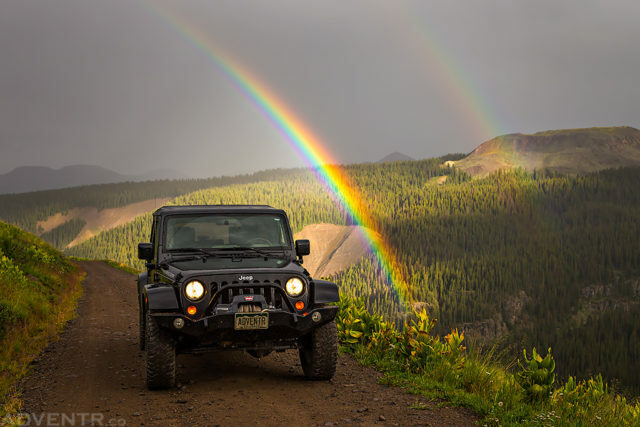 While searching for wildflowers along Stony Pass Road on a stormy day, sunlight slipped through a small opening in the clouds and created this rainbow behind me. It was like I had driven right under it. The rainbow didn’t last more than a couple of minutes, so I’m glad I was ready to capture it. 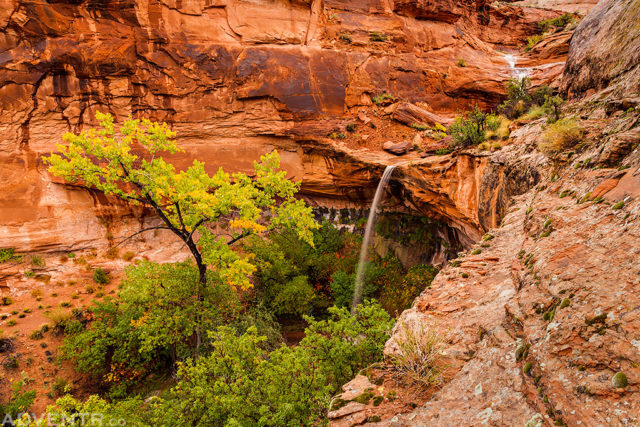 In early October I spent a morning chasing waterfalls along the Colorado River after a heavy downpour near Moab. As I was driving back to town I caught a glimpse of what looked like a very nice waterfall, but it was hard to tell from the road. I decided it was worth checking out, and was pleasantly surprised to find this little desert oasis when I hiked closer. I’ve wanted to check out Lockhart Basin for years but somehow never managed to get out that way before. This year I made up my mind to finally get there and I had a great time photographing the desert scenery. 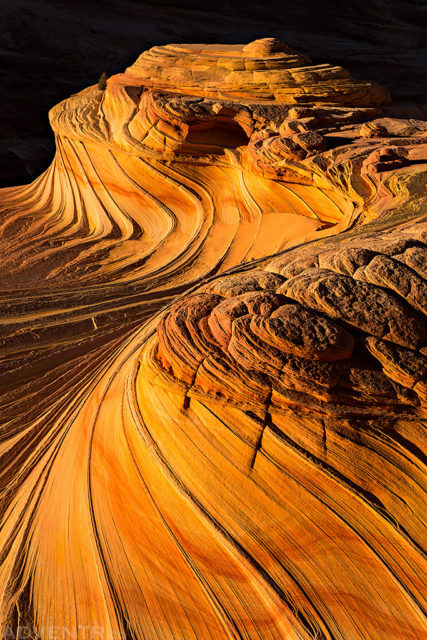 I was treated to an amazing sunset and sunrise, but I love the light on the layers of sandstone in this image along with the nice painterly sky. This year I ended up climbing four of Colorado’s peaks over 14,000 feet. 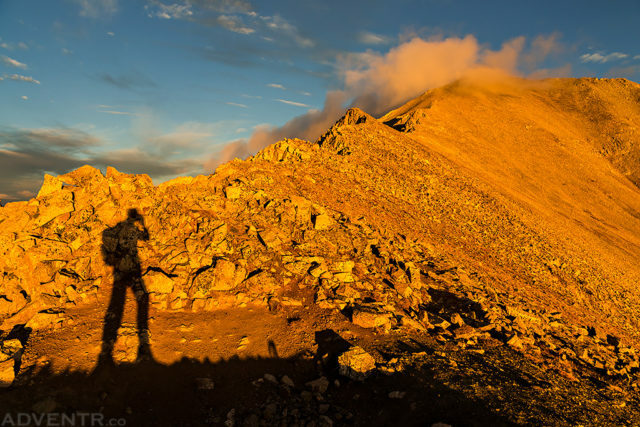 While hiking to the top of Mount Princeton in the Sawatch Range I reached the final ridge to the summit just as the sun was coming up for the day. The golden light was intense and there were some nice clouds hiding the very top of the peak. It was an incredible Colorado sunrise. 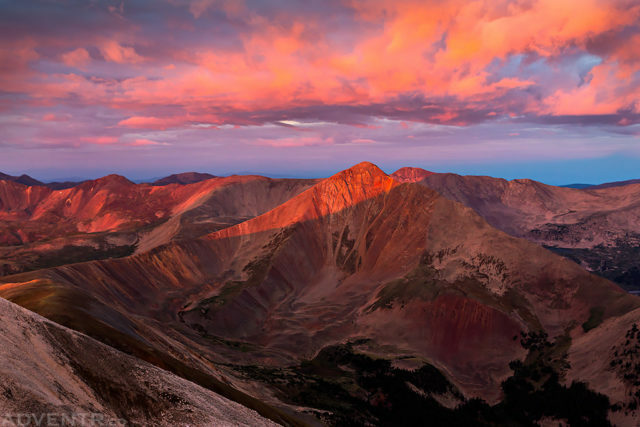 As I climbed to the summit of 14,276′ Mount Antero back in late August I was treated to this beautiful sunrise over the Sawatch Range. Have I mentioned that I love living in Colorado? Since I usually have a very difficult time selecting only ten photos each year I’ll post a few of the runners up that didn’t quite make the cut, but were very close to being in my top ten of 2013. Enjoy! I remember this January morning very well because it was brutally cold out as I waited for the sun to come up over the Grand Mesa in the distance. 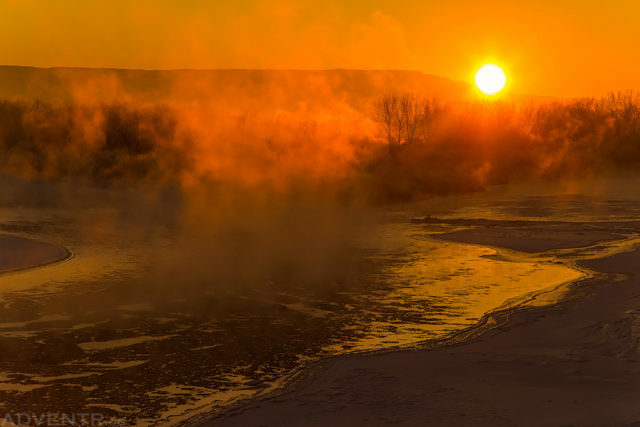 The fog rising up from the icy waters of the Colorado River in Grand Junction caught the warm early morning light nicely. This year I also made my first visit to Little Finland, also known as Devil’s Fire, in the Gold Butte region of Nevada. I spent a night camped here on my drive out to Death Valley and had the pleasure of photographing a beautiful sunset with these unusual sandstone formations. I took quite a few images this evening, but this one stands out as my favorite. 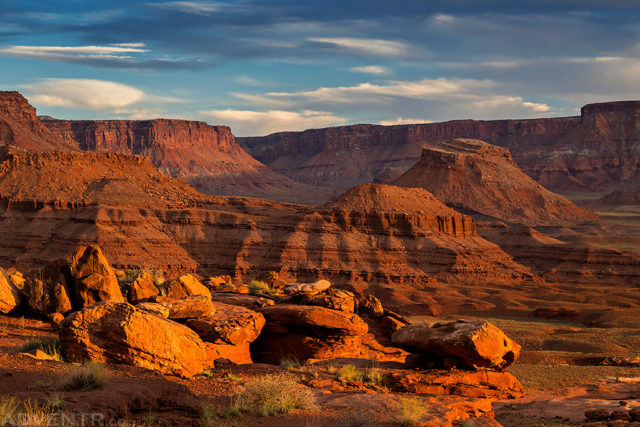 Warm evening light illuminates the Second Wave of Coyote Buttes North in November. 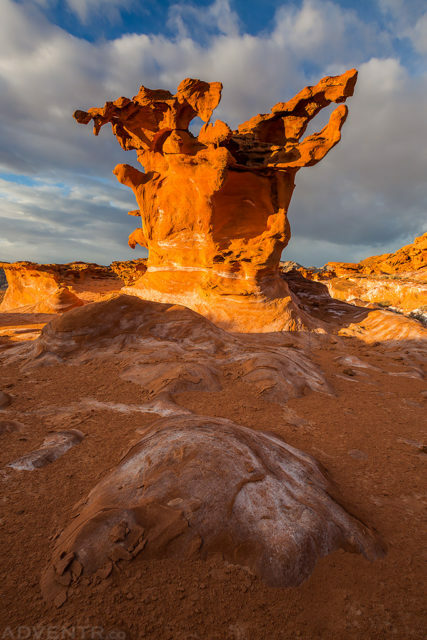 I’ve been to Coyote Buttes North many times over the past few years and I never get tired of the amazing sandstone formations found here. I’m not much of a wildlife photographer but when an opportunity presents itself I do the best I can. 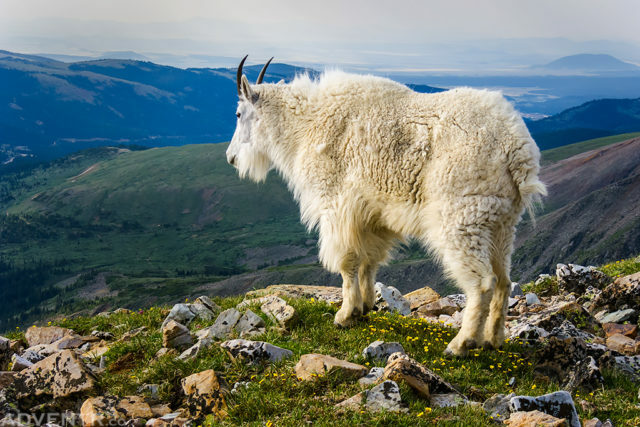 In this case I was hiking down from Mount Quandary in Colorado’s Tenmile Range when I spotted this Rocky Mountain Goat standing in a patch of yellow wildflowers seeming staring at the view beyond. I only had my little point and shoot camera with me on this hike so I did the best I could with the equipment in hand and think it turned out great. 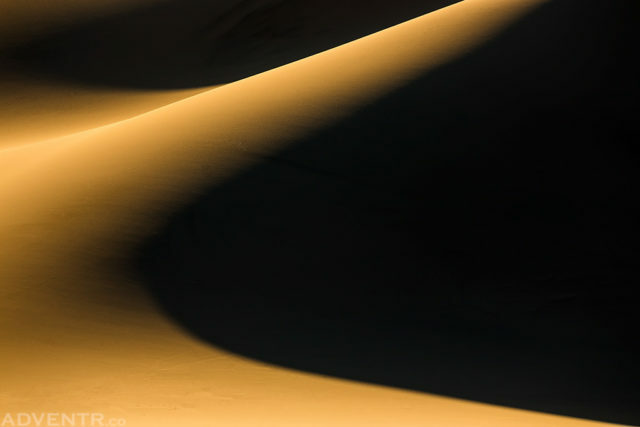 Here is one last image from my trip to Death Valley last February. 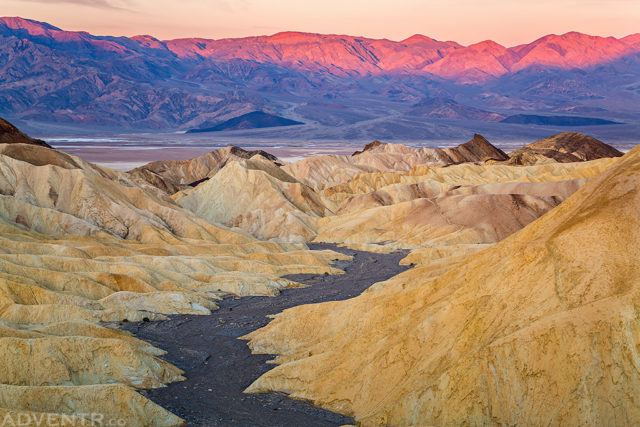 I spent two wonderful mornings photographing from Zabriskie Point because I enjoyed the view so much. I love the alpenglow on the top of the Panamint Range across the valley with the yellow badlands below.